Brown 1908. The Ankylosauridae, a new family of armored dinosaurs from the upper Cretaceous. AMNH Bulletin 24:187-201. Oh, Ankylosaurus. The namesake of the Ankylosauria and Ankylosauridae. One of the most popular ankylosaurs. And yet Ankylosaurus is not particularly well known in terms of skeletal material – some skulls, a tail club, and miscellaneous postcranial bits. Barnum Brown’s 1908 description included the pictured reconstruction of the armour. At the time Brown did not know that Ankylosaurus had a tail club, so he reconstructed it with a more Stegosaurus-like tail. 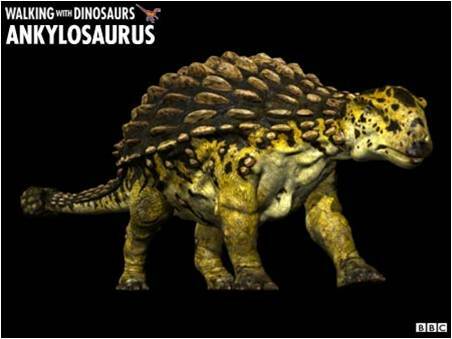 The armour is shown as pretty uniform across the body, mostly because Brown didn’t have a lot to work with and little to compare Ankylosaurus to. Enter the World’s Fair dinosaurs by Sinclair, including Ankylosaurus. We have a replica (cast? Model? Does anyone know?) at the Royal Alberta Museum in Edmonton (along with a Sinclair Corythosaurus), which I think is pretty rad. Note the strange, pustulated tail club back there, dragging on the ground. Boo. 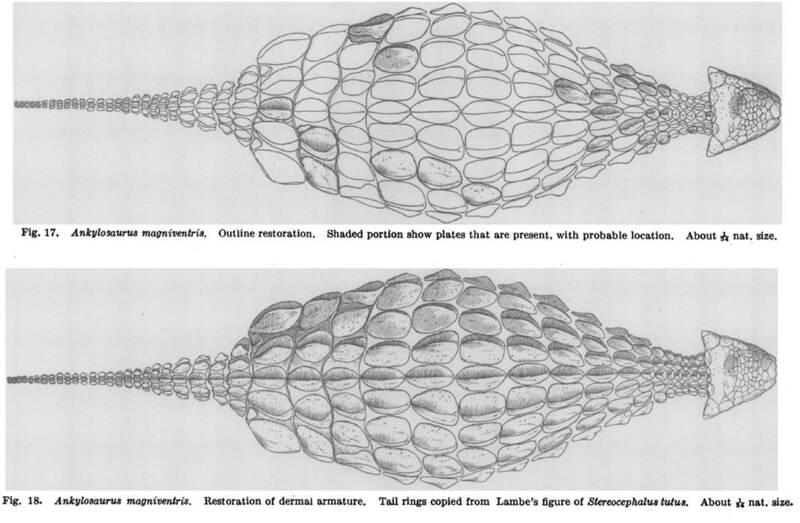 There’s really no reason for the tail club to be portrayed as a lumpy, gross thing – the only known tail club of Ankylosaurus actually has a very smooth texture! The World’s Fair Ankylosaurus (along with the Zallinger mural at the Peabody Museum) would define how Ankylosaurus is drawn and modeled for a very long time – I have a pink Ankylosaurus eraser from an elementary school book fair that is clearly modeled on this fellow, for example. Walking with Dinosaurs included an Ankylosaurus in the final episode, Death of a Dyanasty, back in 1999. There’s that lumpy tail club again! Again, we see the influences of Brown and the Sinclair World’s Fair Ankylosaurus. A couple of Ankylosaurus make an appearance in Jurassic Park 3 (briefly, as they float down the river after escaping the Pteranodon aviary), and holy smokes are they ever strange. 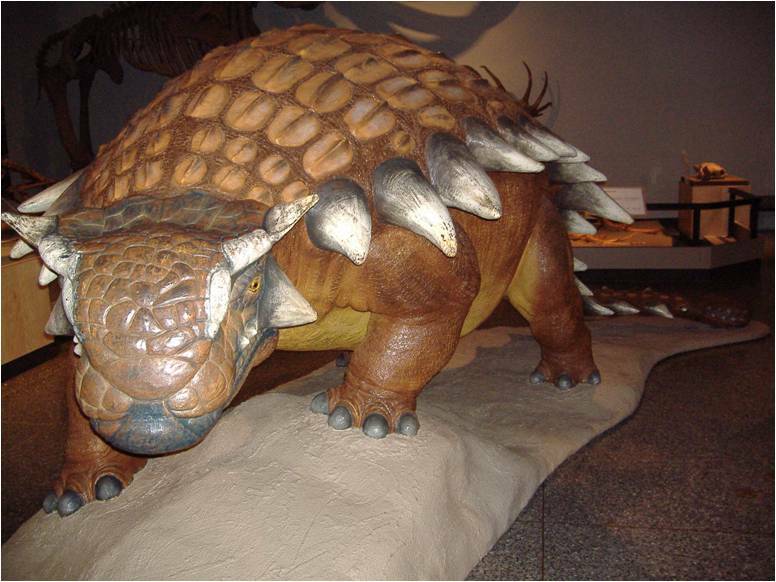 In 2004, Ken Carpenter published a wonderful, long, detailed revision of Ankylosaurus in the Canadian Journal of Earth Sciences, and offered a new armour reconstruction. If you’ve got the Carnegie series Ankylosaurus toy, you’ll be familiar with this new interpretation – they clearly drew much of their inspiration and information from Carpenter’s new reconstruction. There are a few minor points I could quibble about, but overall it’s a good reconstruction of the armour, and a big change from the uniform spiky Ankylosaurus. And the tail club isn’t horrible! 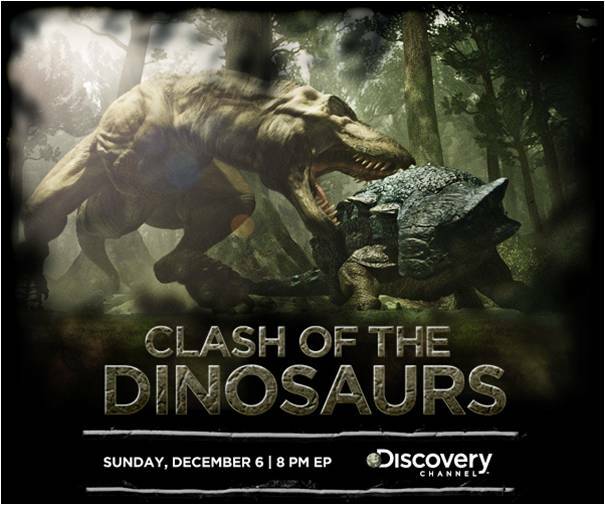 The most recent TV Ankylosaurus I know of was in Clash of the Dinosaurs. Say what you will about the show, but I thought the ankylosaur segment was pretty good. I had the opportunity to do a bit of advising for that segment, and it was a lot of fun to work with the producers to try to get Ankylosaurus just right. They did a great job on the head, and the body is almost like a little bit of a mix between the Brown/World’s Fair Ankylosaurus and the Carpenter Ankylosaurus. And the tail club was not gross! Hooray and success! 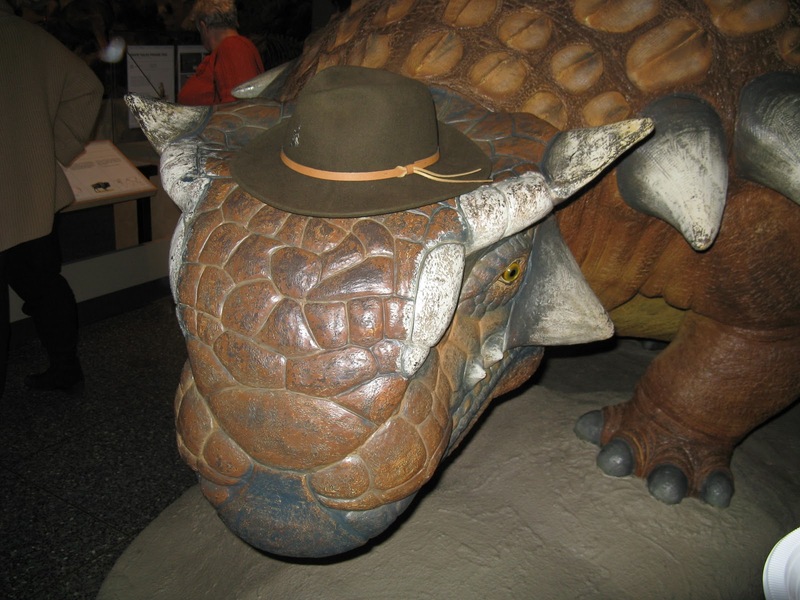 It is a less well-known fact that Ankylosaurus looked quite dapper in a hat. Interesting read. The Ankylosaurus was certainly one of the better things about Clash of the Dinosaurs. I have the Carnegie Ankylosaurus, the first decent representation I've seen. It's unfortunate that, even a century after discovery of the three original specimens, including AMNH 5895, nothing comparable or better has been found. Ankylosaurus was larger in relation to T. rex than depicted in that Clash of the Dinosaurs production. The jaws of T. rex wouldn't have encompassed so much of the armored body, and attacking in that area was risky because of the club. Nice work 🙂 Sorry for the plug, but have you see The Great Dinosaur Discoveries? There's a spread in there about the changing appearance of Ankylosaurus and on how Brown gave it the forelimbs and pelvis of Stegosaurus. Darren, I have not seen The Great Dinosaur Discoveries! I will have to find a copy and take a look. starman – I don't find the CotD Ankylosaurus particularly small, although I agree that a predator would have been ill-advised to hang out near the tail. I think you're over-reacting to the “gross” tail clubs, though. The bony core of the club isn't necessarily going to have the same texture and the outer covering, right? Tarchia: I doubt a T. rex could fit the width of an Ankylosaurus body inside its jaws, as depicted in that scene. But I suppose you could say it's realistic, if Hone is right and T. rex, like other predators, focused mainly on juvenile prey. Hey I just started reading your blog. Keep up the good work on anklyosaurids!!! And your travels look fun too! The Ankylosaurus segment in the Clash of the Dinosaurs was well done.